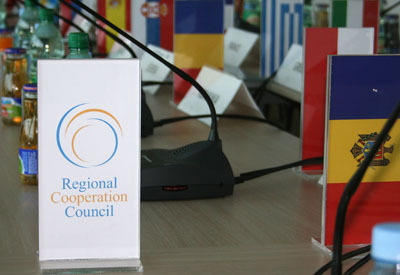 “Balanced regional development and all-inclusiveness is a prerequisite for stability and prosperity of South East Europe”, said RCC Secretary General Hido Biscevic, while presenting a report on the activities of the organization’s Secretariat since December 2010 to the 28-member supervisory body. The report reflects progress in implementing the RCC Strategy and Work Programme 2011-2013 endorsed by the RCC Annual Meeting and the Heads of State and Government of the South-East European Cooperation Process (SEECP) participating States in June 2010. At the meeting, Secretary General Biscevic also shared information on the work planned for the next three months and on the coordination of activities between the South-East European Cooperation Process (SEECP) Troika (Turkey, Montenegro and Serbia) and the RCC Secretariat. The participants adopted the budget of the RCC Secretariat for 2011. They further on decided to invite the region’s national coordinators for EU’s Instrument for Pre-accession Assistance (IPA) programme to the next Board meeting, scheduled for 12 May 2011.